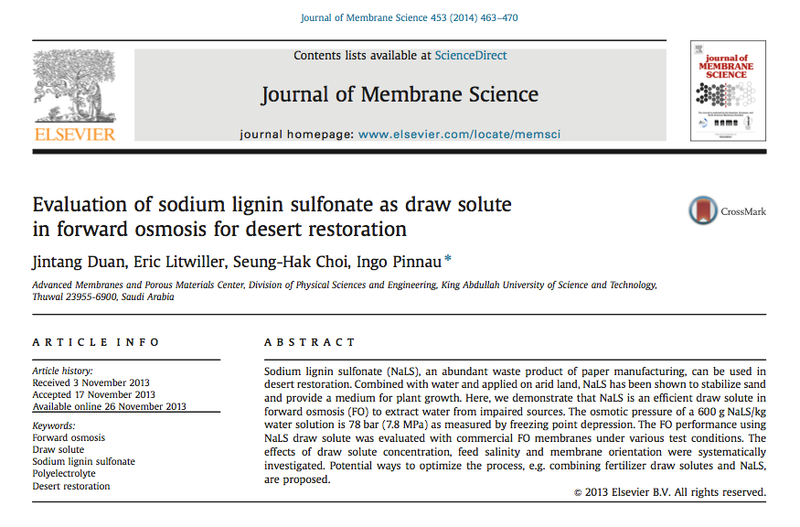 In their article “Evaluation of sodium lignin sulfonate as draw solute in forward osmosis for desert restoration” Duan et. al. 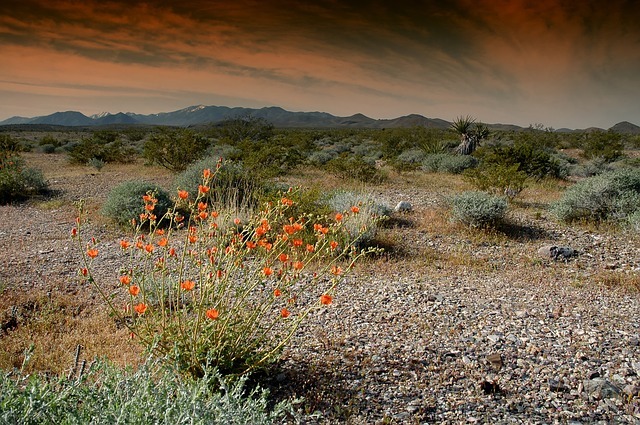 describe the problem of dry land degradation to deserts through increasing loss of water, vegetation, and wildlife. This is a problem affecting up to 250 million people worldwide. To mitigate and reverse desertification the first step is to fixate sand to “immobilize sand dunes and provide an environment for seed germination”. One way of fixating sand is to spray aqueous solutions of chemical binders onto the sand. Water drains of the surface and leaves behind a firm crust of 0,5-1cm thickness, which prevents sand migration. Water soluble sodium lignin sulfonate (NaLS) is an effective non-toxic chemical binder that improves the organic content of sand, helps retain moisture, and provides nutrients for plants. 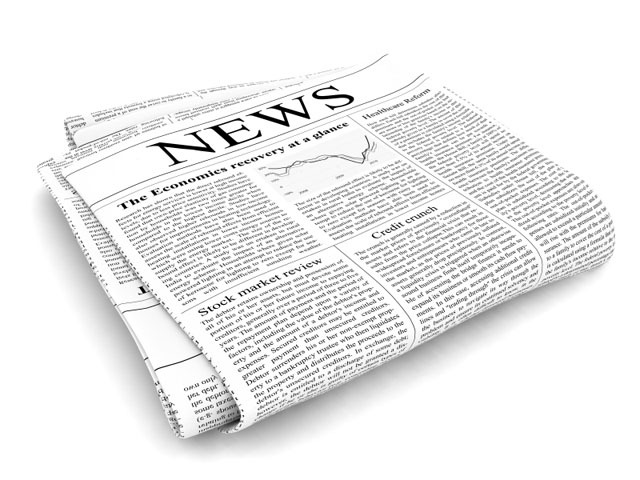 NaLS is a waste product of the paper industry and some 50 million tons of NaLS is generated annually around the World. This makes NaLS a cost-effective chemical binder at around 400 USD/ton. A major challenge facing desertification reversal projects is the lack of fresh water resources to produce NaLS solutions. 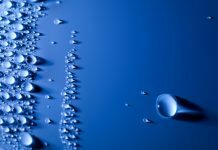 In arid regions, brackish water, seawater, and other impaired water sources are often available but until now, energy-intensive desalination techniques have been needed to generate fresh water. Duan et. al. suggest to utilize forward osmosis technologies to solve the water scarcity challenge in an energy-efficient manner. 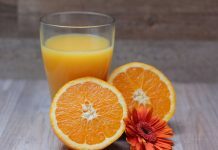 In the author’s proposed forward osmosis solution, NaLS is used as a draw solute for low-energy water extraction from impaired feed water sources. When the osmotic pressure of impaired feed waters is below 1,5 bar (corresponding to a 2000 ppm NaCl solution) saturated NaLS draw solutions are able to extract enough fresh water to reach a dilution of 1-2% NaLS, which corresponds to the working concentration for sand fixation. 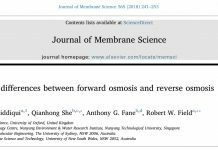 For impaired water sources with osmotic pressures above 1,5 bar (e.g. seawater, some forms of brackish water etc.) 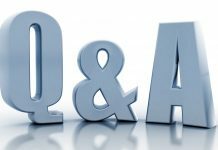 additional dilution systems are needed besides FO based water extraction systems to generate NaLS working solutions. 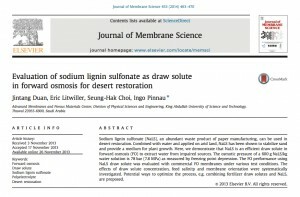 I hope researchers manage to solve the challenges currently associated with the use of forward osmosis for desert restoration / desertification reversal – it would such an awesome altruistic application of a membrane technology to restore Nature. 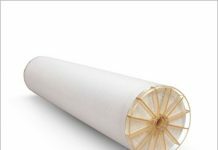 By the way, have you ever considered using forward osmosis technologies to improve processes in seawater greenhouses? Thanks for building a great forward osmosis knowledge base! Thanks for your kind words and the suggestion to look into combining forward osmosis technologies with seawater greenhouses. From my understanding of how seawater greenhouses work, one potential use of forward osmosis would be to utilize the sea water brine, which is continuously generated as the greenhouse extracts fresh water from the seawater feed stream via evaporation. Said sea water brine could be used in a forward osmosis system for reduction of difficult waste water volumes or power generation via pressure retarded osmosis (PRO).